February Half Term Sessions Available! 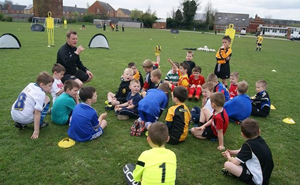 Throughout the February half term we are holding football and multi sport sessions. Please find below a list of dates and venues. Each session costs £12 per day, please make sure you book early to secure your place! JOIN US FOR A CHANCE TO WIN CERTIFICATES, MEDALS & TROPHIES AND OTHER PRIZES UP FOR GRABS!